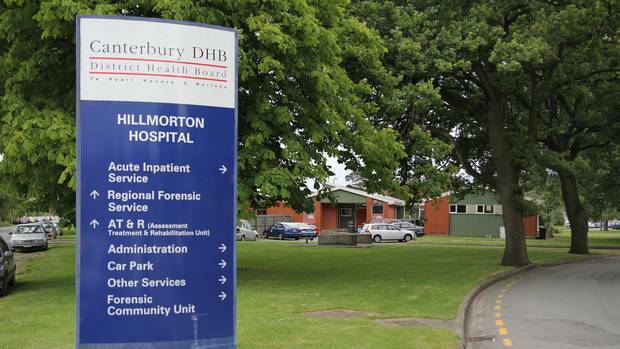 A nationwide suicide prevention group will be laying a complaint against the Canterbury District Health Board after a woman attempted suicide twice in two hours. At around 11.30am on Sunday, Christchurch resident Hannah Carter and her partner saw a woman standing on the Wrights Road overpass in Addington. "Something didn't seem right, so we pulled over," she said. Her partner tried to talk the woman down – and when that didn't work he grabbed her by the backpack. "She just slipped it off, so he had to grab her and pull her over the railing." "She was very doom and gloom, very quiet. She had horrible cuts on her arms that she'd done herself. One of them was bandaged up, and she told us it went right down to the bone." Carter was relieved when police showed up, and they told her they'd be taking the woman to Hillmorton Hospital - a mental health facility -for urgent care. "The same police officer was there, and he seemed just as frustrated as we were. We thought when they took her she'd get the help she needed." Chair of the Life Matters Suicide Prevention Trust - Corinda Taylor - was appalled when she heard how quickly the woman had been discharged from Hillmorton. "A suicidal person should never be left on their own," she said. Taylor said in the event the woman's friends or family couldn't be contacted, she should have been asked whether she wanted to be hospitalised. "In the event a person doesn't want to be hospitalised, there's always the option of using the Mental Health Act." Under the Act, doctors are able to conduct a mental health assessment. If the patient is found to have a mental disorder, they must receive compulsory treatment for a period of up to five days. Taylor said community care should always be the first option, but this isn't always possible. "Often family and friends are exhausted from looking after a suicidal person," she said, "[but] a person in this condition would be emotionally exhausted. I can just imagine she can't see a way out right now, and nobody's supporting her. Members of the public are trying – but the very people that should be supporting her aren't doing that." "It's a systemic issue. I have heard this story many times– people have gone for help from the emergency department and been turned away." Taylor said she'll be making a complaint to the District Health Board about the case – and what she perceives as the lack of care. The Canterbury District Health Board says there is no such thing as a 'mandatory hold period.' Very few patients are housed in locked areas with most free to come and go from the acute mental health inpatient unit." The DHB says it can't comment of the specific details because of patient confidentiality. While they couldn't confirm they'd be conducting a review of this specific case, they say whenever there is a significant event or near-miss staff review what happened, the circumstances at the time of the event, and what - if anything - could be done to prevent a similar event happening in the future. In a statement Chief of Psychiatry Doctor, Peri Renison says it was important to note more than fifty percent of people who complete suicide have no interaction with mental health services. The mandatory hold is Sectioning, under The Mental Health (Treatment and Assessment) Act. Are you lacking in medico legal, CDHB?